Throughout history, there was always speculation and lore about the underground Moon City as being the home of aliens or humans that have migrated there before our times. Many historians, novelists, artists and entertainers talked and depicted the underground Moon City as something that is a definite possibility and even as a real thing. There are conspiracy theories out there about aliens roaming in underground dwellings on Mars, which are usually quickly discarded as they are not based in science. But next time you hear about the underground Moon City, listen carefully because it might not as bogus as it sounds. Scientists have proven the fact that the Earth’s Moon is actually filled with lava tubes, which are essentially tunnels that have been formed out of volcanic lava, overflowing from underground. These tubes are now said to be a possible site for future human dwellings based on a new theoretical supposition. They don’t contain any building blocks of life or oxygen, for that matter, but they would be suitable environments for humans to start colonizing the Moon and building the first underground Moon City ever. This seems to be possible because of the way in which these tunnels and structures have formed under the surface of the Moon, leaving room for pockets that could be filled with futuristic constructions and buildings. If it sounds bogus, you might want to think twice. It’s still just a theory, but it is actually based on real data released from NASA’s Gravity Recovery and Interior Laboratoryy missions. The reports from these suggest that the diameter of the lava tunnels under the surface of the Moon are as wide as 1 km, which suggests that the strong lava which has hardened into the tunnels would be capable of supporting human settlements, thus the possibility of creating the underground Moon City, a concept of futurism now becoming a possibility. Although the space is not large enough for a whole city, it might provide enough space for the construction of bunkers and safe houses for explorer on the Moon. The sturdiness of these tunnels will also provide protection from external factors, such as meteorites, temperature increases and decreases as well as from cosmic radiation. The study which has resulted in these findings and out of which the theory of the underground Moon City has spawn belongs to researchers at the Purdue University. You can watch a video of how they imagined this project by going to Space. 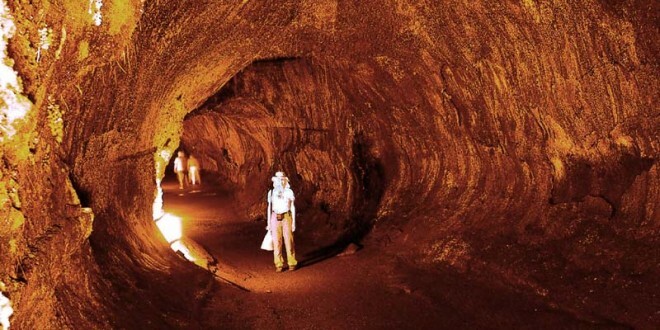 Imagine the possibilities these lava tubes would offer to researchers inspecting the Moon. Although the underground Moon City is just a theory right now, the researchers and scientists are hard at work into making it into a reality.